You're just right for the job! Camp is a diverse ministry, offering our campers and guests lots of opportunities to interact with nature and each other. This means there's an equally diverse number of opportunities for volunteers. If you have the desire to support SON-Life, we'd love to have you be a part of this ministry. One of our biggest needs is our mowing crew. 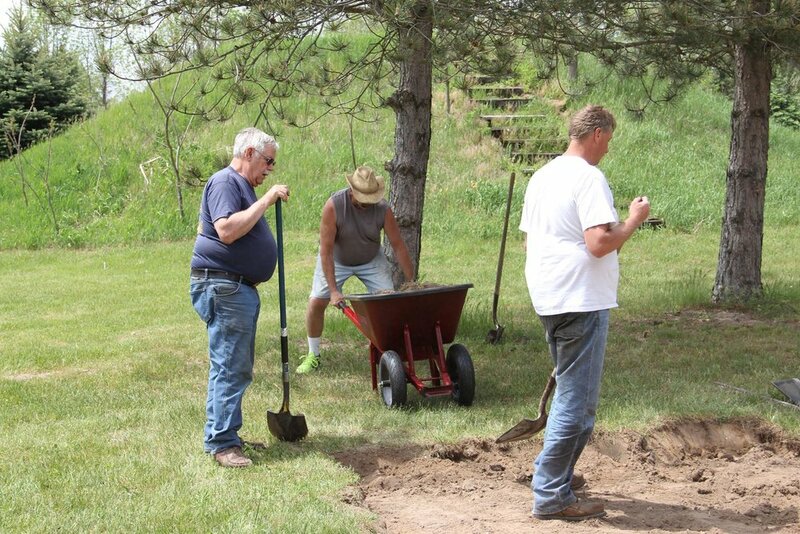 We have a lot of grassy land at SON-Life, and our volunteers help us keep it looking great for our summer programming. Mowing Crew - We provide the mower, you provide the driver. 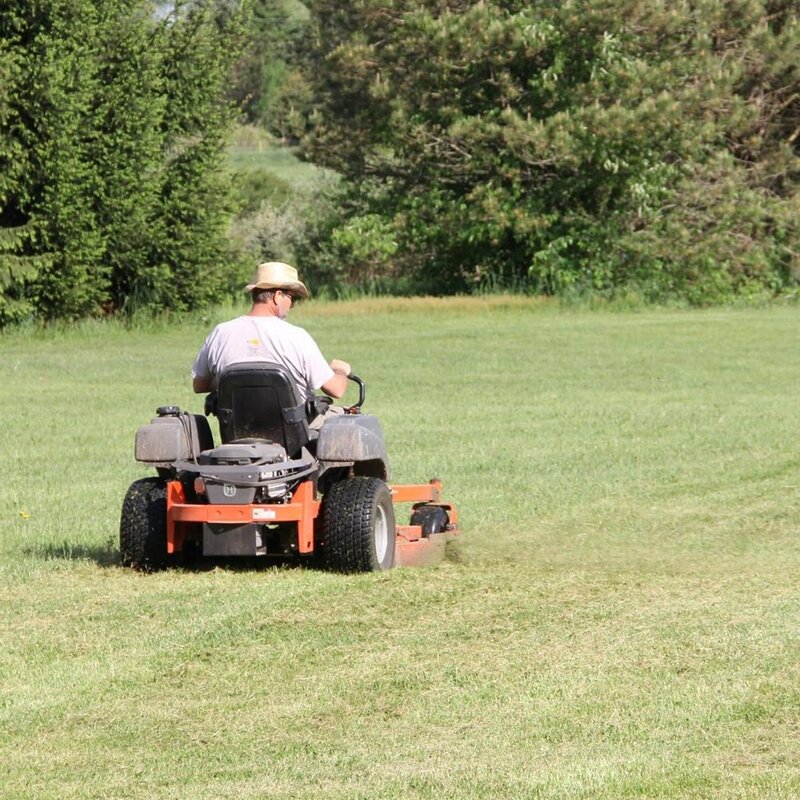 We schedule 2 mowers each week, and typically schedule individuals once every 4-6 weeks over the summer season. 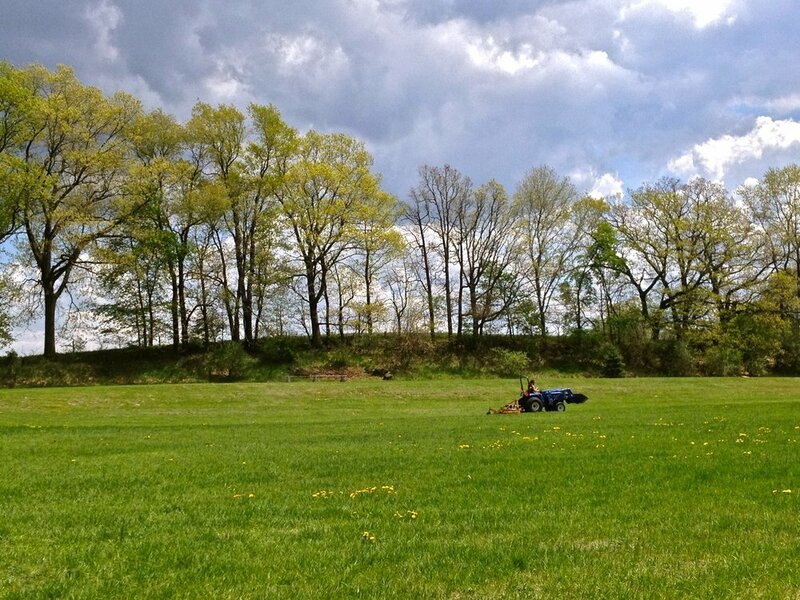 Mowing days are typically set for Wednesdays, but we can be flexible with your schedule. We have two mowers: our New Holland tractor with the brush hog on the back, and a zero turn riding mower. Let us know which one you'd prefer to use! Meal Prep - Are you handy in the kitchen? We could use your help preparing meals for our campers. Free camping with your own camping unit, if available. General Maintenance - If you have a special gift or talent in areas such as plumbing, electrical, splitting wood, auto/mechanical, etc., we would love to talk to you! There are always general maintenance needs at camp! Mailing Crew - A lot has moved digitally in the last few years, but we still do a couple large mailings each year. Want to help prepare print pieces with address stickers? Our mailing crew is usually about 8-12 folks who come on out to camp, and spend a couple hours preparing these mailings for the post office. School Groups - Have a service day coming up? Lets talk! We generally have great projects for groups of 8-15 students. 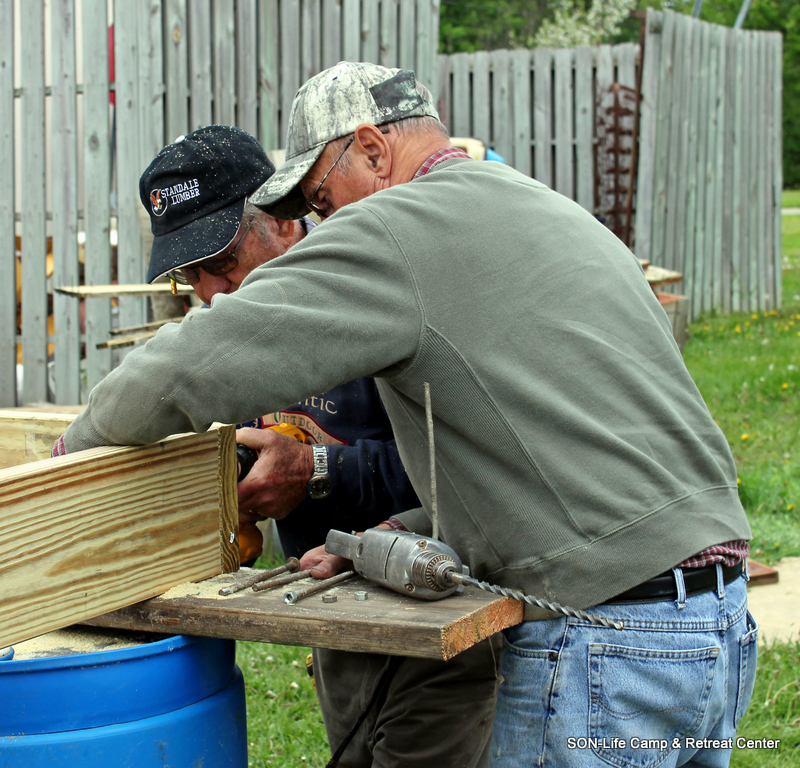 Projects vary per season, but could involve painting, cleaning, woodchipping trails, and more! We would like to ask you to spend some time in prayer for SON-Life Camp. As a ministry, we are thankful for those who are able to provide financially. If you feel that God is leading you to give a donation to SON-Life Camp & Retreat Center, you can do so right here. We appreciate your willingness to give! SON-Life Camp and Retreat Center is a 501c3 organization, meaning all your donations are tax deductible. Our annual first camp out. Perfect for retirees and college students (any anyone in between) who love camp and want to lend a helping hand. We'll provide the food, the campsites, and the projects. Come on out for the day, or stay the whole week!